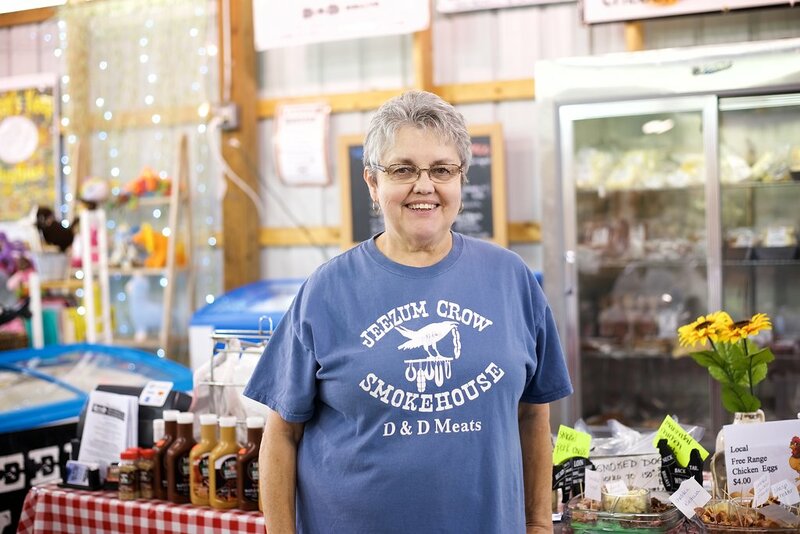 We are a family owned business for over 35 years and own a Ma and Pa grocery store as well as a custom processing facility where we custom process beef, swine, and all varieties of wildlife. We currently make 140 products. Some of the favorites we bring to the market are 18 types of sausage, 3 kind of our very popular keilbasa, smoked chicken breasts, assorted summer sausages, fresh meats, jerk beef, pork patties, and jerk seasoned pork or beef steak. We also carry fresh free range local eggs and a variety of smoked and seasoned cheese. We offer maple products such as mustard, BBQ sauces, and flavored maple creams. We provide custom & wild game processing and sell whole/halves of beef and pigs.